You’ll see horsepower and torque figures discussed whenever we talk about vehicle performance in our car reviews, but what do they really mean? Well, they explain how much ‘oomph’ the vehicle has. The numbers have a direct impact on how fast a car will feel when you put your foot down on the accelerator. Oomph (to use the technical term) is broken down into two component parts; power and torque. Here at Auto Trader, we've historically used brake horsepower (bhp) as the unit of measurement for power, and pound feet (lb ft) as the unit for torque, and some of our older reviews and articles will feature these units. However, from mid-2017 onwards, we switched to using PS for power and Nm (Newton metres) for torque, to reflect increasing adoption of these units across most of the motoring industry. PS stands for pferdestaerke, which is the German word for horsepower. However, it's important to note that, while we use the PS figure in our reviews, we refer to it as 'horsepower' rather than PS to make it clearer and easier to understand. Confusingly, some outlets and manufacturers use different units again; hp, kW, or cv for power, for example. However, all these relate to the same thing, even though the unit sizes and measurement methods are different. How do you explain brake horsepower? Let’s start with explaining power. Simplified, the higher the PS number, the more power output the engine generates. For context, a small entry-level city car will have from around 75PS while mid-sized family cars usually have between 110PS and 200PS. Generally, anything with more than 200PS will ‘have a bit of poke’; Volkswagen’s Golf GTI, for example, has upwards of 220PS. Cars with power figures above 300PS will usually be serious performance vehicles, and modern supercars will have more than 500PS. 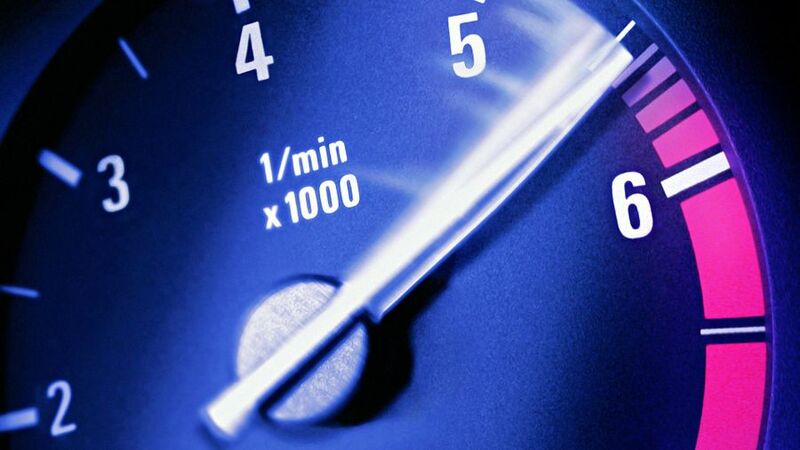 Although horsepower figures will give you a rough idea of performance, you can’t directly link power to vehicle speed, as how quick a car is will depend on - among other things - its power-to-weight ratio. For example, a city car with 150PS will be considerably faster than a large, heavy SUV with the same amount of power. How does torque fit into the picture? Power represents the rate at which an engine works, while the torque figure tells you how much force it generates. A good analogy is riding a bicycle. The amount of force you can push down on the pedal is torque, whereas the speed at which you can spin the pedals is power. If you can put loads of power down on the pedals then you can haul heavy weight, but if you can’t spin the pedals very fast, you won’t go too quickly. Conversely, it’s not much use being able to spin the pedals quickly, if you can’t put much force through them. How do power and torque work together? The blend of power and torque therefore goes a long way to determining an engine’s character, and by extension that of the car. Big vehicles that need to haul plenty of weight – such as an SUV or a pickup truck – will generally have high torque figures and not worry quite so much about power. But a sports car will value power more highly. Different types of engines have different inherent qualities. Diesel engines develop more torque than an equivalently sized petrol engine, which is why they’re often prized in vehicles like goods lorries, vans and even large ships. Petrol engines rev higher and so are usually employed in high-end performance cars. It’s worth noting the figures quoted for both power and torque will be the maximum generated by the engine at a particular point. As you press the throttle and increase the engine revs, the levels of power and torque change. You may see levels of power and torque expressed with an engine speed next to them, such as ‘200PS at 5000rpm’. This means the engine has its peak power at a relatively high engine speed. A figure of ‘300Nm at 1500-4000rpm’ means the engine develops peak torque all the way from 1500 to 4000rpm. As a general rule, torque figures peak lower in the rev range than power. The engineer’s dream is to make an engine with peak torque and peak power at anywhere in the rev range, but physics means this is an impossibility with current technology. However, one quirk of electric motors is that they can generate peak torque straightaway, which is why electric vehicles often feel very nippy on acceleration, even if their power figures aren’t that high.